When choosing a new home community, the area is very important. Life will be a breeze when you choose Kyle Farm with its close proximity to Historic Marietta, Downtown Acworth, Downtown Kennesaw, Kennesaw National Park and great malls for shopping and dining like The Avenue at West Cobb or Town Center at Cobb and gorgeous views of Lost Mountain. When choosing a new home, the importance of the details cannot be overlooked. You can relax with Patrick Malloy’s unique floorplans offering contemporary features and traditional finishes throughout the home. Enjoy the mastery of craftsmanship found in the Patrick Malloy highly sought after homes that’s visible in each and every meticulous detail throughout, from the indoor styling to the outdoor living spaces. A Rockin’ Christmas Eve “Eve” – A Christmas Carol Playing Christmas Eve – Minutes from your new home at Horizon at Laurel Canyon! A Rockin’ Christmas Eve Eve is a one-hour jam packed joy ride of holiday cheer. This family-friendly show will feature some of the most talented singers and musicians Cherokee County has to offer. There will also be a few surprise visits from some pretty famous people that neither you nor your kids will want to miss (wink wink). They are offering this show for FREE as a Christmas gift to our community. Bring the whole family. Invite your neighbors. Invite your friends. BUT space is limited so reserve your tickets* now at http://www.christmaseveeve.com before they run out! *Children four and under do not need a ticket. In the Woodstock area, check out “A Christmas Carol” on Christmas Eve, December 24th at the The Center Auditorium. Event website Join Elm Street Cultural Arts Village, 8534 Main Street in Woodstock, for the must-see holiday performance of “A Christmas Carol.” This music-infused production captures the magic and joy of Dickens’s Yuletide classic. “A Christmas Carol” is rich with thrilling ensemble music, alive with color and movement and is created to tell this great and enduring tale in a manner that people of all ages will enjoy. Want to move this year? Move in December ready homes include the Lanier ranch plan with fabulous views from the front porch…perfect for a swing. Large open dining room. Kitchen is open to Family room. Study/office will make you want to work from home. Back yard backs to golf course. Exterior cedar mountain look. Family room and Keeping room have fireplaces. NOW Selling in Phase II at Cambridge Preserve by AWARD-WINNING Patrick Malloy Communities – choose your new home now! The year end is coming up rapidly and thoughts began to turn to 2017. 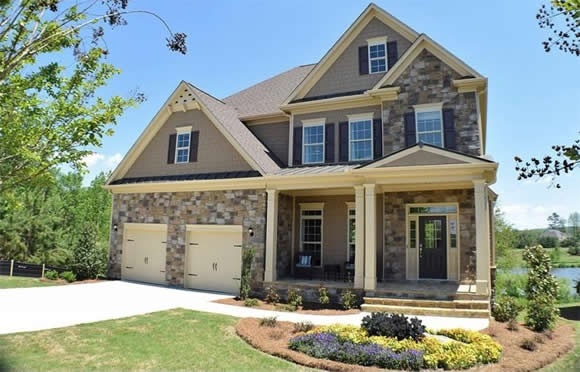 If you are in the market for a new home, be sure to stop by Cambridge Preserve in Marietta where Phase II is NOW SELLING! Sales at Cambridge Preserve have been stupendous throughout 2016 and are expected to sell rapidly in the new year! You could wait until spring, but why not choose your new home now and be in it in time to enjoy the spectacular amenities! Enjoy the resort style amenities featuring a luxury community pool with sunbathing cabana for warm weather, an open-air pavilion with a fully equipped kitchen, a natural lake with gazebo, fishing pier and water fountain feature. Also included in the resort style amenities is a lakeside firepit with an additional firepit under the open-air pavilion. To wind out the amenities, Cambridge Preserve offers 2 lighted tennis courts, a children’s playground and a half mile nature walk with fitness stations along the trail. The York with four bedrooms and 3.5 baths is a fabulous home plan featuring the Master on Main with “his & hers” vanities, garden tub and walk-in shower plus a large walk-in closet. Entertaining is easy in the open kitchen with large island overlooking a family room with fireplace and sunny breakfast area. Kitchen has stainless appliances, walk-in pantry plus there is a formal dining room & study. Second floor offers 3 guest rooms and open loft. This home sits on the edge of the community lake and has wonderful views. Homesite 115- $435,900 Available January 2017! It is a well known fact in the new home community market that the best deals are at the very beginning of construction. There are PRE-GRAND OPENING deals going on right now so don’t miss your opportunity! Kyle Farm in the West Cobb area is NOW open and ready with an onsite agent for pre-sales with two already under contract! For a limited time, get $5K toward designing your life plus $5K towards closing costs when using preferred lender! [see agent for full details] Kyle Farms now has four model homes under construction with pricing from the $400’s which are expected to be open in February 2017.